Add a little COLMAN'S Hot English Mustard to your mash for a variation on plain. Place water in a large pot and bring to the boil, remove from heat and whisk in the KNORR Instant Mashed Potato Mix until well combined. Stir in cream, butter, COLMAN'S Hot English Mustard and pepper. Heat oil and gently fry onions, until crisp. Heat water and whisk in KNORR Rich Brown Gravy. Simmer for 2 minutes, stirring continuously, until thickened. 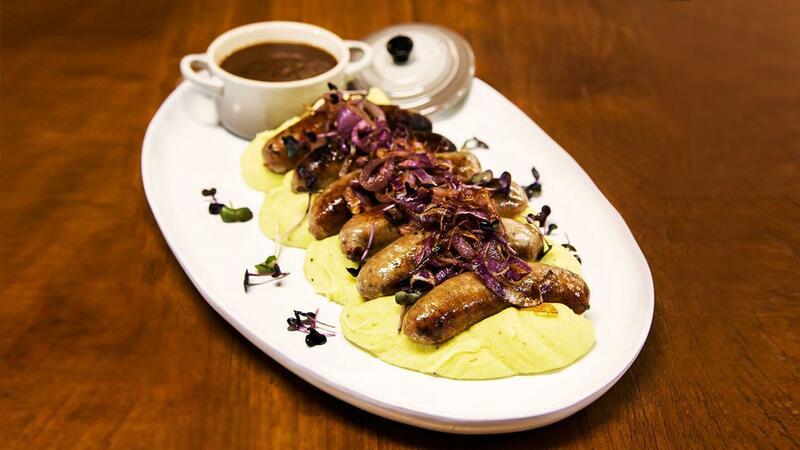 Spread hot English mashed potato onto a large platter, top with cooked sausages and sprinkle over crisp onion and micro herbs. Serve with a side of gravy.